A striking example of the Tudor Revival style, this many gabled, half-timbered house features decorative wood carvings, limestone trim, and a Gothic arch surrounding a recessed Tudor-arched entry door. 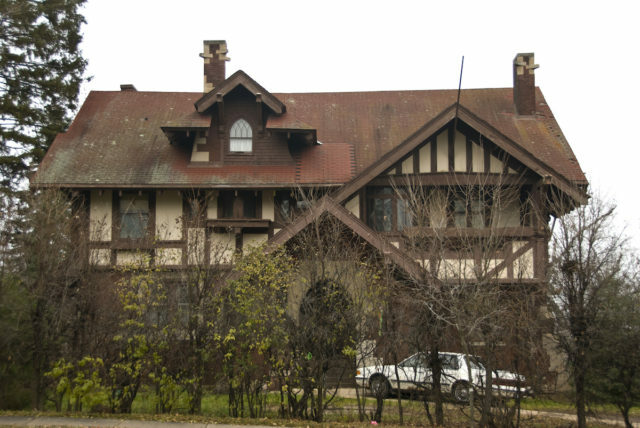 It is one of Duluth’s many homes designed by William T. Bray, who apprenticed under preeminent nineteenth-century architect Oliver Traphagen. Frank House was president of the Duluth and Iron Range Railroad, the first railroad to bring ore from the Iron Range to Lake Superior’s shores.